According to ESPN, after Puig had finally arrived in the United States in July, he paid off the smugglers — rather, he paid off the smugglers who had brought him to Mexico, a different group than the ones who had initially helped him leave Cuba. 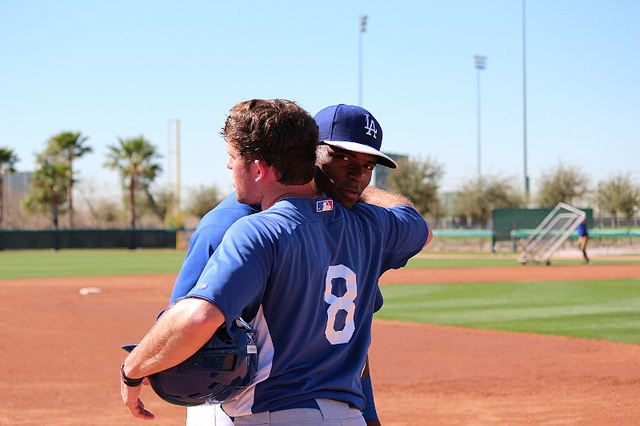 “A rival ring executed a successful late-night plan to steal Puig and get him to Mexico,” ESPN wrote. 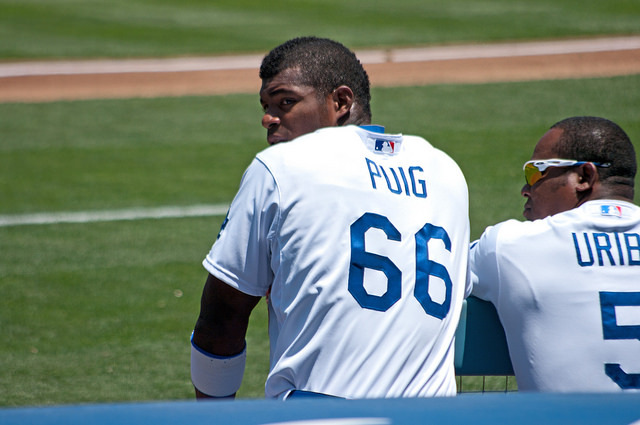 “Upon receiving his signing bonus, Puig allegedly paid 20 percent of his total contract value to the Florida group that ultimately brought him to the United States in July 2012,” while members of the original group showed up at a Dodgers team hotel room and confronted Puig about their payment around the same time. Puig, who was the National League’s Rookie of the Year runner up last season, has refused to comment publicly on anything involving his defection from Cuba. The outfielder is also currently in the midst of a legal battle, a suit brought against him by Miguel Daudinot who was allegedly one of the middlemen in Puig’s journey to the MLB. Daudinot’s lawsuit alleges that Puig and his mother delivered testimony that helped him wind up in a Cuban jail for over 7 years, and that their testimony violated the U.S.’ Torture Victims Protection Act, a bit of ’90s legislation that, per the Library of Congress, “Imposes civil liability on anyone who, under actual or apparent authority or under color of law of any foreign nation, subjects any individual to torture or extrajudicial killing.” Puig is currently contesting the allegations. What is true and what is false in the myth surrounding Yasiel Puig’s eventual arrival in Los Angeles and in Major League Baseball probably won’t ever be known, even if the movie that Puig says the story is built for ever materializes. What we do know is that today, in April of 2014, the Los Angeles Dodgers are 12-8, in 1st place in the NL West, and to some degree that’s due to the play of Yasiel Puig.